The yearly general members assembly serves the purpose to provide feedback from the board of the Ondergrondse: the current status of finances, events, action points and plans for the future. This event also serves as the transfer of responsibility to the ‘18/’19 board of De Ondergrondse, who will present their goals for the following term. You will have the opportunity to come and deliver input and suggestions on the current standings and plans for the coming year. 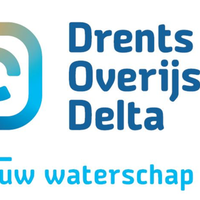 Your participation is essential to keep De Ondergrondse’s vision in line with that of its members. The assembly will be rounded off with some drinks in the Geocorner.